From humble beginnings in Chicago, Jim Moran’s entrepreneurial spirit came alive when he began selling soda pop at sandlot baseball games at the age of seven. As he neared adulthood in 1939, he saved $360 to buy a Sinclair gas station, soon turning it into the highest volume and most profitable Sinclair station in Chicago. His skill and innovation in advertising and marketing helped him build his Hudson and then Ford dealerships into the world’s largest. He was a pioneer in the use of television to sell cars and came to be known as “Jim Moran the Courtesy Man.” He became the only automobile dealer ever to be featured on the cover of TIME magazine on March 24, 1961. 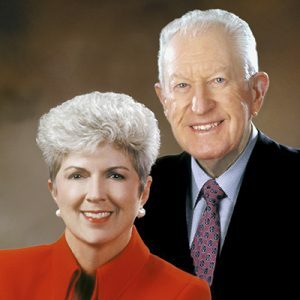 In December 2015, FSU announced the largest gift in its history, $100 million, from Jan Moran and The Jim Moran Foundation to create the nation’s largest interdisciplinary, degree-granting School of Entrepreneurship and to continue funding and expanding the Jim Moran Institute. The establishment of the Jim Moran School of Entrepreneurship at Florida State is a testament to Jim Moran’s extraordinary vision and commitment to the study, support and advancement of entrepreneurialism in Florida and across the nation. The FSU Jim Moran building is scheduled to open its doors in November 2017. The official launch is scheduled for August 2018, as part of the celebration of what would have been Jim Moran’s 100th birthday.